'Who Profits from the Occupation'? – SodaStream/Soda Club does! 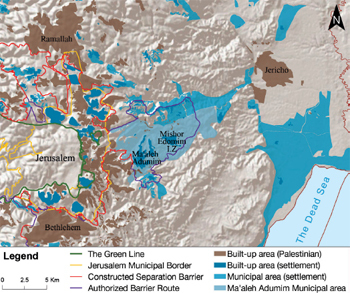 The SodaStream factory is located in an illegal industrial zone called Mishor Adumim, one of the largest Israeli thefts of Palestinian land in the occupied West Bank that disconnects Ramallah, Jerusalem, Bethlehem and Jericho. Consult this full report about SodaStream and its illegal practices compiled by WhoProfits. 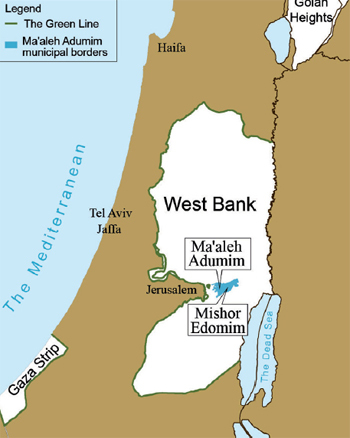 Regional context: the SodaStream factory is located at the Mishor Edomim Industrial Park, in the occupied West Bank.